WEST COLUMBIA, SC -- Everyone needs a little pampering, especially during the hectic holiday season. And the salon in the Lexington Two Innovation Center Cosmetology Department is offering just that. From 8 a.m.-1 p.m. Saturday, December 8, cosmetology students are offering beauty services at affordable prices -- from eyebrow/chin/lip waxing for $5, to manicures from $10 and pedicures from $15. There are hair services, too, including haircuts that start at $5. Innovation Center cosmetology instructor Sherkeria Elkins and students from her program will be heading up the Saturday fundraiser, which is raising money for center students to attend the International Beauty Show this spring in New York. The event will be at the Lexington Two Innovation Center, 509 Bulldog Blvd., off the 12th Street Extension in Cayce. Appointments can be made in advance by emailing selkins@lex2.org, though walk-ins also are welcome. 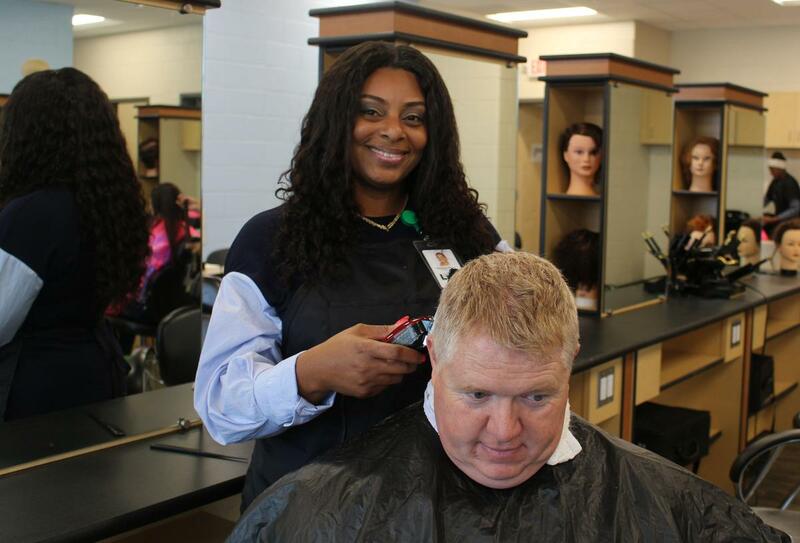 Elkins, who has been with Lexington Two for nearly four years, spoke recently about her own interest in cosmetology, as well as the Innovation Center’s program. How did you first become interested in cosmetology as a career? Elkins: My mother and great-aunt were cosmetologists, so I've had a passion for doing hair since I was in middle school. The high school I attended offered cosmetology classes, but my mother's thoughts were if I took it in high school, I would not go on to college. I went to Midlands Technical College -- and the passion for doing hair did not go away. So once I finished there, I went to cosmetology school. What advantage do the students have who take the cosmetology program at L2IC? Elkins: An advantage that the L2IC cosmetology students have is that they get the same exposure and knowledge as students who attend private cosmetology schools. They can become licensed after completion of our classes and after passing the SC Cosmetology Board exam. It’s a big cost savings, too, when you get the education you need at the L2IC while in high school. What kinds of services do you offer to the public? Elkins: We offer shampoo styles, haircuts, braids, weaves, manicures, pedicures, waxing, hair color, perms and relaxers. We’re currently accepting clients only on Fridays, with select Saturdays to start soon. We also have a lot of exciting events planned within the next few months -- including our very first hair show, set for 6 pm Saturday, January 12. NOTE: Not all services listed on the attached flyer are available at the December 8 event -- but they are available on Fridays in the L2IC salon by appointment. Email selkins@lex2.org.